LOW MILES!! 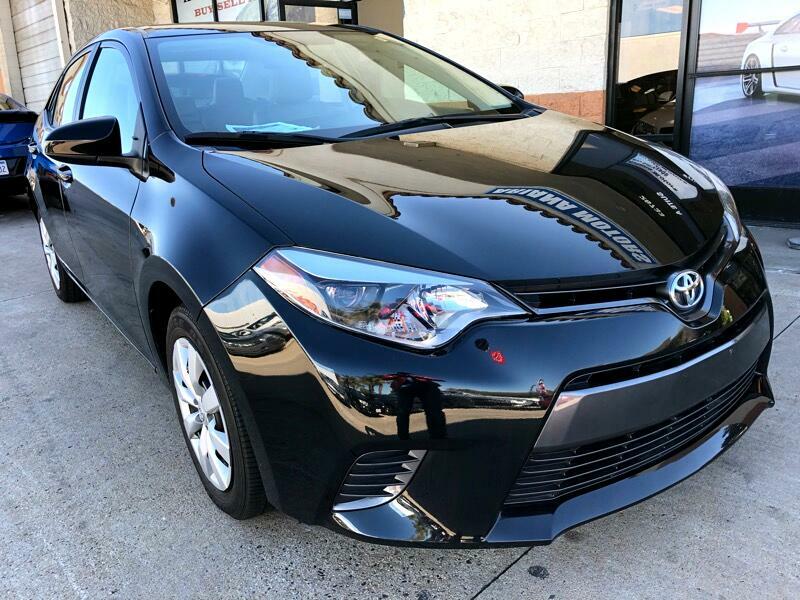 2016 Toyota Corolla 4-door Sedan, Automatic Transmission, Clean Title with 32,850 Miles. This Corolla is absolutely beautiful with its black exterior and beige cloth interior. It’s equipped with Back-Camera, Bluetooth, Air Conditioning, steering Wheel Controls, AM/FM, Xenon Headlights, Climate Control and many safety options. This is a must see! In excellent condition inside and out! Drives smooth like new! Please review vehicle options for more information. Please call or text for vehicle availability at 760-481-9072. All Vehicle Trade-ins are welcome! Dealership hours are as follows: Monday - Friday (10am - 6pm) Saturday (10am - 5pm) Sunday by appointment only.